Will The Board Of Supes' Soft-Story Retrofit Requirement End Up Costing Me A Bundle? Will The Board Of Supes’ Soft-Story Retrofit Requirement End Up Costing Me A Bundle? Long time reader, first time caller (emailer?) here. I’m writing because I am curious about “pass-throughs” to tenants for improvements. Specifically, I am asking about a proposal at the Board of Supervisors to require seismic upgrades to buildings that need them. My building is on the list the City recently produced of buildings needing a retrofit because it’s what’s often called a “soft story” building (i.e. it’s an old early 1920s building with units that sit on top of an unreinforced garage). My question is this – how is this pass through cost calculated and how can I figure it out so I don’t get overcharged by the property owner? There are 32 units in my building in total (including some units added in the late 1980s by the landlord in the back), and my rent is rent controlled (they banked 3 years of increases, and then raised it per the law from 1350 to 1413.25 per month). So my question is, given all this info, how do they calculate the pass through and how is it assigned to the tenants? As you indicated, the law to require “soft-story” retrofits is still pending at the Board of Supervisors. The proposed law will require a seismic retrofit for all wood-frame soft-story buildings built before 1978 that are at least three stories high and contain five or more dwelling units. 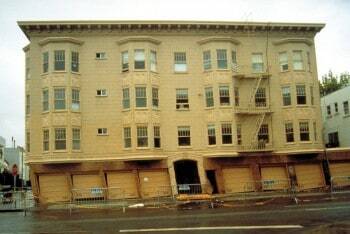 As expressed on a February 5, 2013 broadcast of Forum with Michael Krasny, “SF Weighs Requiring Soft-Story Earthquake Retrofits,” the general consensus seems to be that the law will pass. After all, up to 60,000 rent-controlled units could be lost in the event of a major earthquake. Here’s a list of buildings that may be effected. The contentious issue of cost to both landlords and tenants remains. Estimates from spokespersons on that broadcast ranged from $10,000 to $20,000 per building to $10,000 to $20,000 per unit. Noah Arroyo, a reporter covering the issue for the San Francisco Public Press, pointed out in his comments that $10-20K per unit “is accurate, though not the whole story. So, this legislation would affect buildings with 5+ units. That means that theoretically the cheapest projects will be between $50K-100K.” A San Francisco Chronicle article estimates the average cost to be $60,000 to $130,000.00 per building. Note, he’s not going to lose his life. Nor does he reveal the income from his building. Nor does he account for the tax write off. Nor does he acknowledge a basic capitalist tenet that investments come with risks and costs. Watch out for “you’re the one who’s gonna die, you pay for it” compromises proposed to pass the law. Like the issue of soft-story retrofits, the San Francisco capital improvements Ordinance and Rules are complicated and dense. To demonstrate the complexity of the process, here’s a list of the topics on the “Landlord & Tenant Information” menu of the Rent Board’s website: Capital Improvement Petitions – General Information; Estimator Fees; How to Allocate Capital Improvement Costs; Interest on Capital Improvement Costs; Uncompensated Labor Rates; Special Rules for Properties with 1-5 Residential Units; Special Rules for Properties with Six or More Residential Units; Special Rules for Seismic Work and Other Improvements Required by Law; Special Rules for Energy Conservation Work; How to Notify Tenants of a Capital Improvement Increase; Tenant Objections to a Capital Improvement Petition. To understand the complexity of a petition you can take a look at the form here. Rent Board Rules & Regulations §7.12(c)(3) states the specific cost allocation and amortization requirements for Seismic Work and Improvements Required by Law. For seismic work that is required by law (and other work required by laws enacted after November 14, 2002), 100% of the capital improvement cost may be passed through to the tenants, regardless of the number of units in the property. Such increases are subject to an annual limitation of $30.00 or 10% of the tenant’s petition base rent, whichever is greater. The amortization period for this work is 20 years. Because the cost estimates for retrofitting are all over the map, it’s almost impossible to predict your potential rent increase. Let’s pretend that your landlord will get a good deal and the cost of the retrofit will be $10,000 per unit or $320,000.00 including financing. $320,000 divided by 20 equals $16,000 divided by 32 equals $500 per year per unit or an increase of $41.66 per month. To be safe, expect to pay a 10% rent increase and anything less will be a happy outcome. 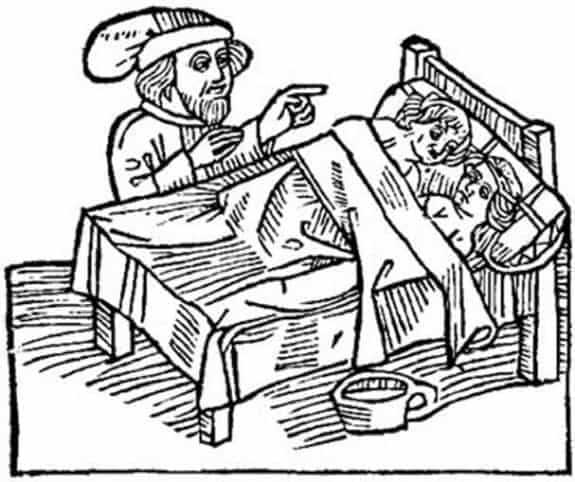 To answer your first question, the permissible tenant objections to a capital improvement petition (Rules & Regulations §7.15), are not going to be strictly applicable to a retrofit required by law, unless a landlord claims that he did the work but didn’t; or costs so high that they likely included a kickback for a bank deposit in the Cayman Islands. For a petition based on seismic work there’s not much you can do except to make sure the work has been done and that the costs are reasonable. You should closely examine the cost of financing. A newer resident can object that she moved in within six months of the commencement of the work. However, it is important for tenants (or a tenant representative from the building) to attend capital improvement passthrough hearings, if only to keep an eye on the process. How likely would this type of repair require the tenants to vacate will work is being done? What are our rights should we have to temporarily vacate?